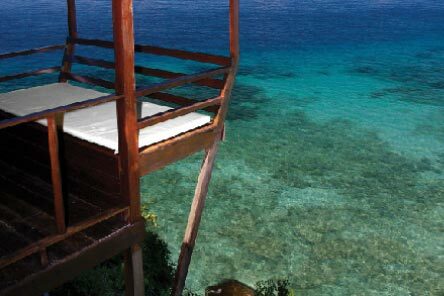 Nestled amidst 11 acres of unspoiled wilderness along the secluded southern shores of Tioman Island, set sail to the east coast of Malaysia where you will find a slice of paradise at Japamala Resort. 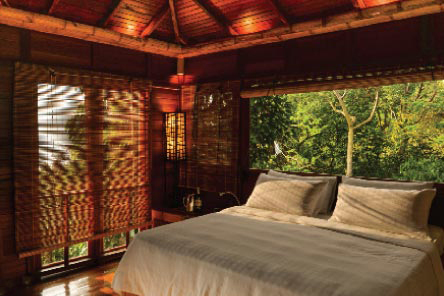 Rejuvenate amidst its 15 chalets, sarangs and beachside villas, each designed to mirror the qualities of the idyllic island. To ensure that the inherent beauty of the destination was treated with utmost respect, each retreat was constructed around the natural landscape with an abundance of natural materials from sustainable sources. Great care has been taken to minimise any environmental impact, and no rocks were moved and no trees were cut down during the ten-year construction of Japamala Resort. 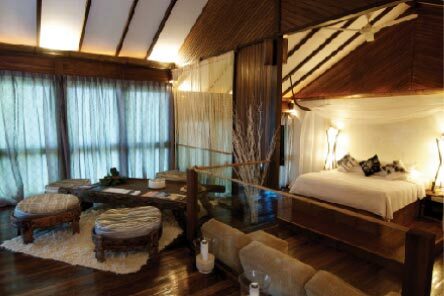 This essence of borrowing from nature inspired the 'rustic-luxe' design, which now runs through all our properties. Simple elegance balances comfort and convenience in all rooms, which are air-conditioned, equipped with complimentary WiFi access, cable Television, well-stocked mini bars, and Espresso machines. Works will be carried out in controlled timings daily, and as a result, some rooms may experience some noise disruptions between 10am and 5pm. Please be assured that concerted considerations will be made to ensure guest comfort and convenience throughout. 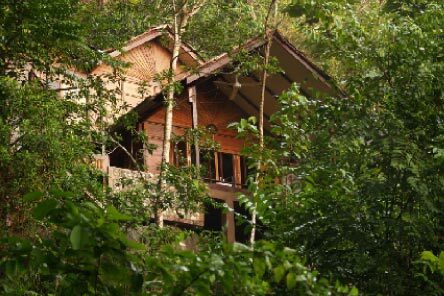 Perched high above the lush jungle canopy, retreat in seclusion whilst enjoying close proximity to the comfort zones and pristine private beach. Nestled on the seacliff overlooking a turquoise lagoon, enjoy uninterrupted views of the undulating waves and luxuriant rainforest from your balcony. 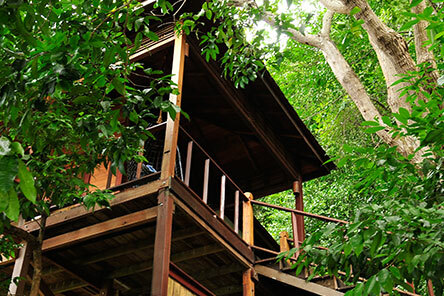 Revel in the experience of living amidst unsurpassed natural beauty without foregoing the finer things in life. Illuminated by towering windows that offer enthralling views of its vastly green surroundings, these split-level rooms offer ample space to rejuvenate. A refreshing combination of rustic-luxury and nature, these romantic villas evoke a feeling of adventure and an air of opulence. 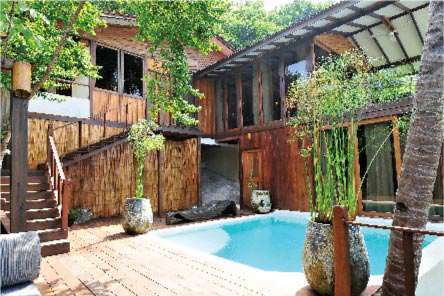 With the beach at its doorstep and the jungle at its backyard, this two-storey, two-bedroom private villa offers an ensuite pool. 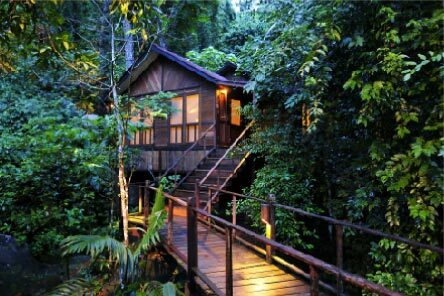 Hidden amidst the treetops at some of the resort's highest points, discover an unmatched blend of luxury and seclusion.